Seriously Daisies: These are SO adorable! 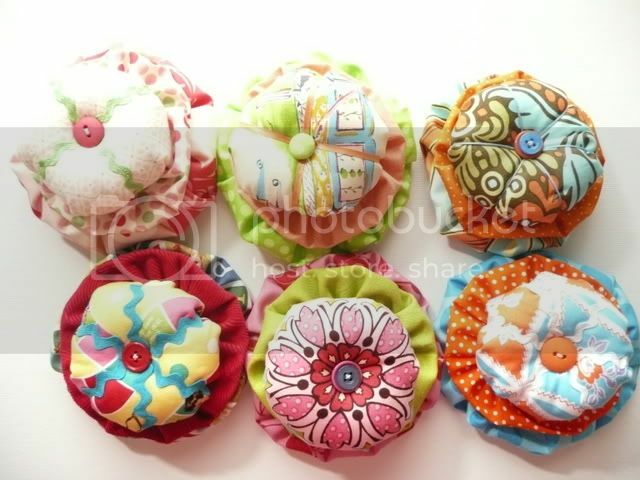 Prissy Pincushions. Aren't they soooo VERY cute??? I personally love them. Mitch says I could probably make one myself. Maybe, but I don't wanna. I want to buy one from Holly's Etsy shop. Yep, that's what I'm gonna do. You can have one too! Go check out the options here Magnolias and Sunshine. 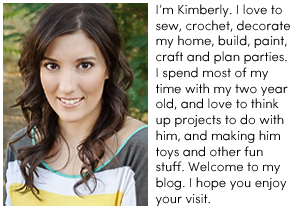 She is also giving one away, go check out her blog before next Wednesday, to see the details! So, now that I've shared my super cute morning find! I wanna talk about blogging, since it is on my mind. I'm new to this world still. I totally love it. Sharing what I write. Getting to take a peek into others lives. I've always had a fascination with "the lives of others". So it's cool that people share their daily lives, pictures, and the amazing art they create. But you know what bugs me, is that when I read blogs, and comment and stuff, it makes me feel like a stalker! Seriously it does, and I so am not. People blog because they want to share, I know I do. But I can't help feeling this way. I wonder, will this feeling go away? And am I alone in this? Or are there others out there who do, or used to feel like this? OK, enough of this crazy talk. I gotta go shower, and then work on a project. Because tomorrow is the 4th of July, and I'm going to Lake Tahoe to see the fireworks. We go every year that I have the day off. I'm just glad we live 1/2 hour away now, versus the 3 hours away we lived before. I can't wait!